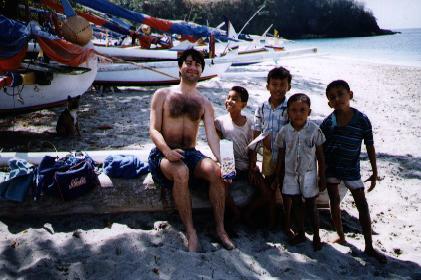 During July 1996, I visited the island of Bali in Indonesia. It is truly a tropical paradise!! The countryside in Bali is truly spectacular. These are some terraced rice paddies by the side of the road. 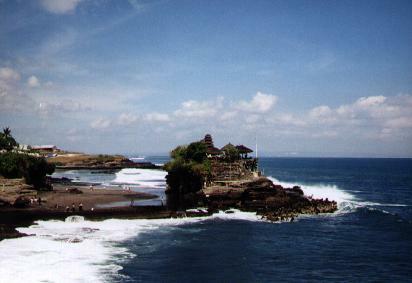 The Tanalot temple is a Hindu shrine on the south coast of Bali. At high tide, the temple is on an island. At low tide, you can walk to the temple from the mainland. Here I am with some new pals on the beach.